Home » Our insights » Blog » We all make mistakes - when will insurers start to give customers the benefit of the doubt? We all make mistakes - when will insurers start to give customers the benefit of the doubt? Consumer law and Ombudsman rulings are not always sympathetic to customers who make mistakes. It's no wonder trust in the industry remains low. This article first appeared in the Telegraph on the weekend of 24/25 March 2018. It was written before my speech on trust in insurance - but some of the material is duplicated across both pieces. Everyone makes mistakes. Especially when they’re doing something that they’re not giving their full attention to. But what’s the appropriate penalty for an honest error? If you get caught shoplifting cause you didn’t scan something properly at the self check-out, you’re unlikely to end up being prosecuted. But if the security guard didn’t like the look of you, or the company was particularly litigious, then technically you could be. Truth is, these matters come down to some discretion on the part of the company or person that is being wronged – and if you’re on the wrong side of the law, you may have to suffer the consequences even if you didn’t do it deliberately. Thankfully, the world of financial services is a bit more measured. The Financial Ombudsman Service – which arbitrates on most disputes between companies and consumers – bases its decision on what is fair and reasonable. That means it has to give some thought to whether a penalty for the customer is proportionate. So, in theory, there’s a big difference in how you can expect to be treated if you were careless, as opposed to doing something deliberately – or recklessly. In the world of insurance, mistakes happen all the time. As more and more of us buy through comparison sites, or direct from insurers, it’s all too easy to give a wrong answer to one of the many questions you’re asked. What percentage of your roof is flat? Are there any trees more than 10 metres tall near your property? Have you been to see the doctor in the last year? How much would it cost to rebuild your house? This is only a problem if the customer makes a claim and the truth comes to light after the event. But when that happens, insurers will often use mistakes as an opportunity to try and reject a claim or pay as little as possible – especially if the claim is large. When these kind of cases drop into my inbox, I’m always fascinated in reading every detail. And there seems to be more than a little inconsistency in the outcomes that consumers get. Back in 2013, the Consumer Insurance Act came into force, making it clear how these cases need to be dealt with if they come to court. If you made an honest mistake, then the starting point is typically to look at what the cost of your insurance might have been if you’d given all the correct information when you applied. If you would have paid £500 a year, but you only paid £250, then the court will rule that the insurer should pay your claim in proportion to what you paid. So in this case, you paid 50% of the correct premium, which means you’ll get 50% of the payout. That can be an incredibly harsh way of looking at things if the claim is a big one. Recently, I got a letter from someone who had forgotten to mention a previous claim when applying for their home insurance. When they came to make a claim for a water leak, the insurer found out about the old claim and said it would have charged twice as much if it had known. As a result, it offered half of the requested payout to repair the damage – leaving the claimant out of pocket by a cool £15,000. The good news is that insurance disputes are rarely fought in the courts, and the Ombudsman has the power to be more lenient. Although it has to give consideration to the law, it doesn’t have to stick to it rigidly – as its first loyalty is to the pillars of fairness and what is reasonable. In some Ombudsman cases, firms have been asked to pay the whole claim, and simply deduct the extra premium that they would have charged. This seems much fairer – and in the previous example, it would have left our customer getting the full £30,000 less a few hundred pounds in additional premium. But what about the cases where the insurer claims it wouldn’t have insured the customer at all if it had known the full story? 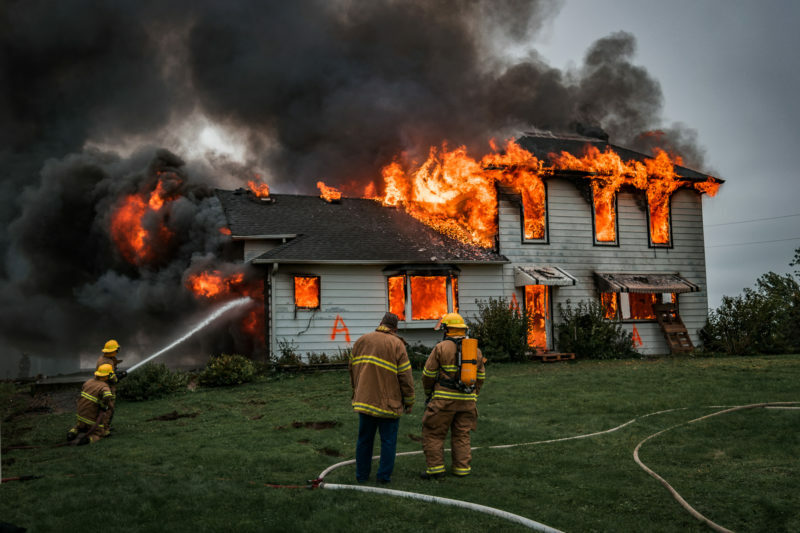 Earlier this month, I was contacted by someone whose home insurance claim was turned down altogether after a serious fire, because they claimed he had 7 bedrooms instead of 5. There are two sides to this story and both are right to some extent. The house does have 7 rooms that you can put beds in. But two of them are not properly converted rooms and don’t have buildings regulation sign off. That means that you wouldn’t legally be able to call them bedrooms. The customer was told that many insurers didn’t take houses with more than 5 bedrooms and was advised to list his property as having 5 bedrooms – which is arguably correct. But the insurer turned down the whole claim as it doesn’t insure 7 bedroom properties – and the Ombudsman agreed. That left the customer with a bill for tens of thousands of pounds of damage and wiped out his life savings. The problem for me is that the law – and some of the Ombudsman decisions – can have devastating effects for consumers. The penalties are simply too harsh for making an honest mistake. While my correspondent’s insurer may not take on properties with 7 bedrooms, the truth is that they would have insured him if he hadn’t stuck a bed in the attic. The situation is too nuanced for such a harsh outcome. Although the number of people who end up with these extra harsh outcomes are small – it’s still too many. Insurers need to be ready to stand by customers who make honest mistakes – even if the mistake takes them outside of where they would have offered insurance. And the law should also be altered to deliver more reasonable outcomes for customers. We all make mistakes, and we shouldn’t be ready to impose financial ruin on anyone simply because they took their eye off the ball. If insurers want more precise ways of understanding their customers, they could always send out staff to assess every individual risk. They don’t do this because it’s expensive. Better still, they could simply make better use of data to more accurately understand their customers. Instead, they ask customers to do the complex job of helping to categorise their own risk – and leave them bearing all the cost if something is wrong. The balance is wrong. If insurers want to write business for the mass market, they must accept that they will have less control than if they can look into the eyes of each of their customers. The cost for them should be that they may be on the hook for claims that they would rather not have been. But if they don’t like those rules, they shouldn’t be taking on business in that way. The industry desperately needs to eliminate these kind of bad news stories if it’s ever going to have a chance of rebuilding trust with consumers. It needs to be willing to give customers the benefit of the doubt more often. We all make mistakes.